A personal decision by Pim Pieterse to use a Genie Lifting Platform to enable safe and effective painting of his workshop, ultimately led to the establishment of SA Platforms. Impressed by the reliability and versatility of Genie Lifting Platforms, Craig Pieterse established this Vaal Triangle based business in April 2013. Within a very short time, the business evolved into a network-based organisation whose roots, now represent a combined work force experience of more than 30 years in the rental and servicing of Genie Lifting Platforms. Our service includes the ability to: ● Deliver the Lifting Platform to your doorstep. ● Train and certify Lifting Platform Operators in order that they can safely, and effectively operate Lifting Machines. In the event that you do not have an operator, we will source and train an operator for you. ● Maintain your lifting machines. SA Platforms has a culture, rooted in the following core values: ● Safety: “We don’t take chances whatever the reason”. ● Flexibility: “We will never get “too big for our boots”. ● Relationships: “We don’t want to disappoint you”. ● Integrity: “We need to sleep well at night”. 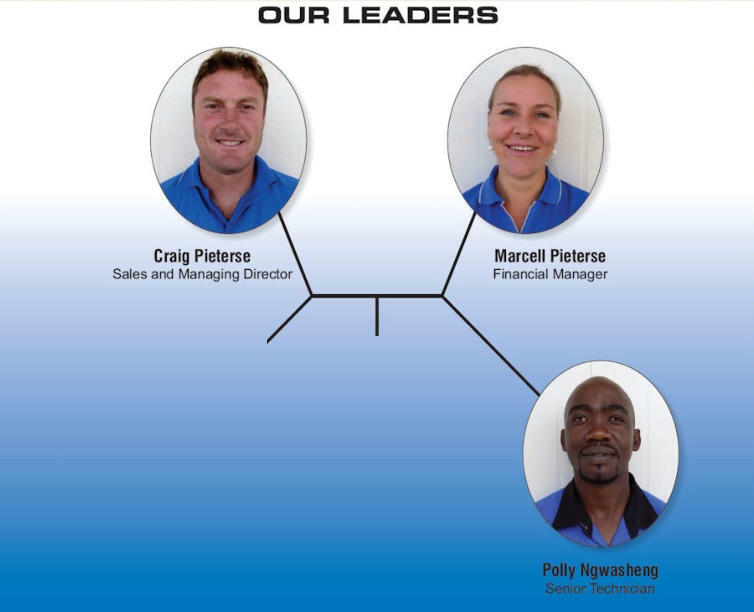 SA Platforms employs a range of personnel including Sales Staff, Lifting Platform Technicians and Office Administrators. 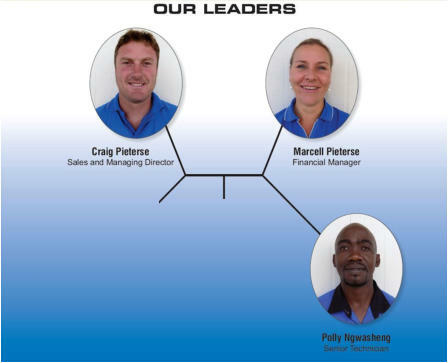 Their personal backgrounds and skills combined with the values of SA Platforms, provides the impetus for a personal and meaningful service to customers. SA Platforms (Pty) Ltd has proudly achieved full accreditation as a training provider of Mobile Elevating Work Platform Operators. Now that we have the go ahead, we intend expanding the licensing and or re-licensing service to include Telehandler Operators. We are also able to offer a course development service. SA Platforms is growing its maintenance division. We maintain your Lifting Machines and or conduct ad hoc repairs in accordance with the maintenance manual. Drop off your machine or give us a call and we will collect from you.